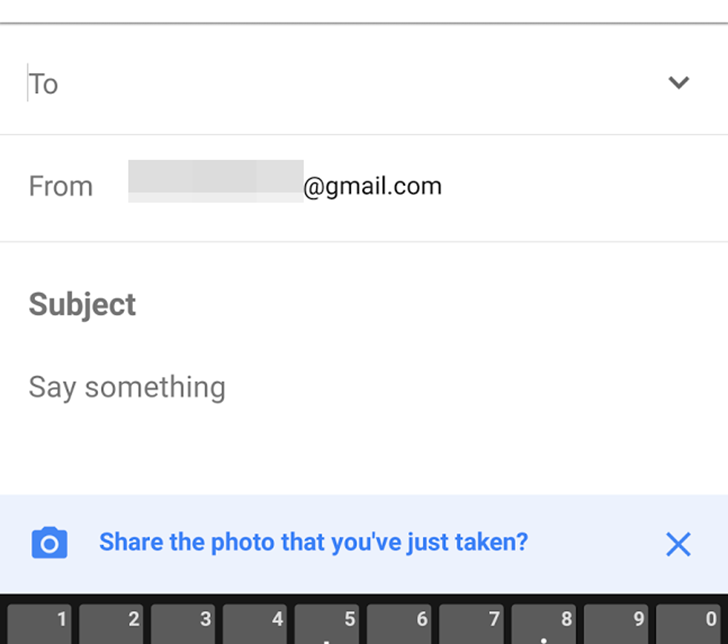 This appears to be something Google is testing or slowly rolling out—I'm not seeing it on my devices yet, but at least some users get the photo suggestion when composing an email. It's very similar to the reminder suggestion we saw a while back. Tapping the suggestion bar will insert the photo, which is faster than going into the attachment dialog and finding it. It doesn't look like this feature can be triggered by updating the app, so you'll just have to see if it shows up on its own. Such is life in the Google ecosystem.